Welcome to Marketplace Lending 101. I’m Bo Brustkern. Here at NSR Invest, our mission is nothing short of rebuilding the fabric of our economy. We accomplish our mission by building the best tools, technology, and investment strategies. 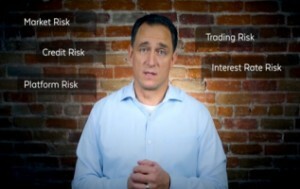 We provide a direct, guided connection between investors and borrowers, eliminating the fat middle layer of our financial system, like big bank inefficiency and Wall Street profits. We serve individuals and their Financial Advisors, helping them get real returns by investing in real people. In this video we will: *define marketplace lending *tell you how it works, and *explain the two keys to generate good returns. In many ways, Marketplace Lending is the revival of a very old concept, a common practice before the banks took over, and that is: people lending money to other people. When this age-old idea was reborn on the web, it became known as peer-to-peer lending. It’s a way for individual investors to lend money directly to borrowers. But unlike ancient Rome or 16th century England, it’s now done online, easily and safely. With the power of the internet, we can now lend funds to hundreds of borrowers, and build a diversified portfolio of loan notes with as little as a $10,000 investment. To understand how the modern system of marketplace lending works, we’ll look at it from two angles: the borrower and the investor. Let’s first look at the borrower. Someone looking for a loan arrives at a lending website and fills in some personal information, along with a few details about their loan. The lending platform then runs a credit report to see if the borrower is credit-worthy. If they’re approved the platform will list the loan online, for investors to pick from. 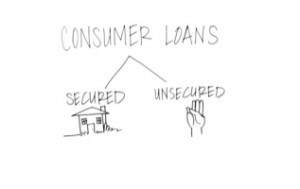 Once the loan has gathered enough investors, the platform wires the full loan amount to the borrower. The borrower then pays back the loan in equal monthly installments until it’s paid in full. The payments go through the platform directly to the investor. This is called an installment loan. The payments are structured similar to a mortgage. However, unlike mortgages, these loans are unsecured – meaning there’s no big asset, like a house, guaranteeing the repayment of the loan. But it’s the same concept: the borrower pays equal amounts every month, until the loan is fully paid off. Now let’s look at the investor side: you put your money to work by investing a minimum of $25 in any one individual loan. Let’s say someone borrows $10,000 to redo her kitchen, but the investor – you – might only invest $25 into that loan, and 25 into another loan, 25 into a third… and so on. The beauty of this system is that diversification is a natural outcome because we invest small amounts into hundreds or thousands of borrowers. This is important because some borrowers, even though they have the best intentions, will still default on their loans. It’s simply a fact of life in the lending business. With a well-diversified portfolio, these defaults will wash through… without crushing your returns. There are two keys to generate good returns: Access and Intelligence. First, intelligence is knowing where to put your money – having the wisdom to separate the good notes from the bad. Second, having access to the loans – snatching them up first – is another key to achieving good results. Knowing which loans are best, your intelligence, is useless if you can’t get to them first – that is, if you don’t have access. This is where we come in, giving you Intelligence and access for successful investment in marketplace lending. We focus on these two priorities – so you don’t have to. We take the worry and the homework – the hard work – out of marketplace lending, generating real returns for you the investor. In this market, everyone benefits. Better loans for the borrower, and solid returns for the investor. It is a transparent, trusted, and highly regulated ecosystem, without the Big Bank middle layer. It’s a win-win ecosystem where real people receive responsible loans, and real investors – you – are generating solid returns.